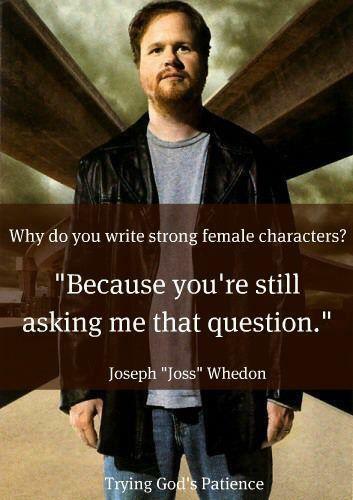 Today this photo has been going around Facebook and while I LOVE Joss Whedon and Buffy is quite possibly one of the greatest shows on television, I think strong characters are more important than either gender. I think it’s great that he writes strong female characters, but I have never liked him because of that. I like him, no I love his writing, because he writes strong characters. I have a lot of friends, mostly women, who get upset with me when I am writing something with a male or boy lead. My last two screenplays have male leads. My new novel series has a male lead. That said, Micheline-my alter-writes chick-lit with strong female leads. I also have two original series with female leads and am developing another one-that I may just turn into a book series. The reason I wrote both is because I just write whatever the story calls for. When I wrote my latest book, RYUAN, I was asked why a boy and not a female and to be honest there is no reason except that I say a boy in my head, not a girl. I just think when writing any story, the gender should be what the story calls for and I am sorry if that offends all the women of the world, but if I wouldn’t vote for someone because of gender I am not going to start writing women just because I am a woman. Remember that scene in Jerry Maguire when Bob Sugar fires Jerry and you see the “what the F just happened here?” In Jerry’s eyes? Has it ever happened to you? The entire first act of that film is Jerry wondering who he can trust and watching his friends turn their backs on him because of something he wrote-he spoke the truth and everyone turned on him. Okay well this is a valuable lesson that unfortunately we would all like to believe isn’t the truth but more the great writing of Cameron Crowe in Jerry Maguire-although I am sure he didn’t coin the phrase. It’s a sad fact in any business but in the creative world it seems to be much much worse, especially in show business. “But they’re my friend they wouldn’t ever do. . . .” yes they would because it’s BUSINESS not friendship-those are the cold, hard, sad facts. 1. When a friend asks you to do work for free for the promise of royalties and or residuals-this should be a huge red flag-but it isn’t, because you want to believe your friend will do the right thing-you’re friends right? Wrong. If the project is fun and you can build your resume, than great, but otherwise just don’t expect to ever see any money. 2. When a friend hires you or gets you hired onto a project they are on-be very careful about talking to them like a friend and open up to about things going on-venting-you know we all do it. That friend will turn on you and pull the work card out and you will be out of a job wondering what the F just happened. 3. Friends won’t be honest with you about things and that always causes an issue. Maybe they aren’t wanting to hurt your feelings, or maybe they want it all for themselves, but honesty is soon dropped when you work with friends. 4.When your friend you are working for tells you that you are too nice and you need to screw people over more-that is a bad sign-and could the red flag be any bigger? 5.When your friend is slamming everyone expect they will do it to you. I have had several occasions when these things aren’t true, but maybe I haven’t at the same time? Who knows really, but I would just say as a rule of a thumb mixing friendship and business is sometimes NOT a good idea. If and when you do have a friendship end due to working together-be the bigger person and never ever slam that person or say anything to anyone negative-just move on. I know it’s hard to do, trust me I know, but you have to just let it go and figure that ended so you have room for something better. Being angry and bitter is just never a great idea to begin with, but remember common sense-this is your career as well. Money always seems to be more important to some people than friendship-for me it isn’t, hence why I am not rich. I also like to believe in people and like I said I have had some great experiences working with friends and some bad ones-it is what it is. As a person who works freelance doing script reading and coverage-I was truly excited to see this article pop up today. The thing is, and I’m just keeping it real-or being honest with you all, is that ALL scripts need help and no one wants to hear it. I have often been hired to read someone’s script and then they get really upset if I am not gushing over how they must be the next Cameron Crowe, Woody Allen or Quentin-bloody-Tarantino. I think they want to pay for compliments and it’s so frustrating. Every single time I submit any of my writing to anyone-friends, coverage places, writers in groups, etc-every time, I get some notes of changes. It is part of the deal. When someone says “it’s great the way it is” that means they actually don’t like it. I know it’s backwards and weird and goes against everything you have ever been taught about the way the world works. Good means good and bad means bad. Not saying that as a reader or consultant I would ever say “this is bad” but there are always going to be changes. When you pay someone to go over your work you are saying that you trust them. They have some knowledge you don’t, so you should listen in stead of argue your brilliance as if you are Atticus Finch. I get people telling me things like: I want a nice positive review of my work NOTHING negative or I would just show it to my writer group, I have already been offered money for this script I just sent it to you for one more opinion but I know it’s great, I already am signed with a top agent, I showed it to so-in-so who is the showrunner on that show and he said it’s perfect, blah blah blah. Look if any of that were true you wouldn’t be sending it out to a reader or consultant. You would be past that stage. I know being a creative writer is a pride swallowing siege (yeah I borrowed that from Jerry Maguire, but it fits), but you have to get rid of your ego and accept that people who give you feedback are just doing their job to make you a better writer. The first time a production company had my screenplay and gave it back to me with what they called, just a few suggestions-I was shocked to see red on EVERY SINGLE LINE. The whole thing was covered in red. And there was a lot of “get rid of this completely, take this out, this doesn’t work.” At first I wanted to cry and I had been punched a litte-and then I thought. Here is a studio run by someone who has made a lot of money and is successful in the film industry and here I sit eating peanut butter and jelly sandwichs while sleeping on an air mattress-maybe they know something I don’t. I mean, how ridiculous does that sound? I did the changes and it’s a lot stronger now. In fact I am so happy that I got those notes because I learned more in that one email than I had in a lot of classes and or writers groups. Don’t get me wrong, classes and groups are invaluable, but you must get your scripts read by readers and get coverage. It’s worth it. You writing friends will most likely not be 100% honest with you. I have friends ask me all the time to do them a favor and read their work and give them feedback and I am telling you, I always cringe because I know they don’t want the truth, they can’t handle it. In any case, read this article-this guy knows his stuff-it’s good and then get your scripts read before you send them out and be thankful for feedback. Virtually all screenwriters seek feedback on their work before they begin marketing it. Whether that feedback comes from a writer’s group, a fellow writer, a story analyst, or a paid script consultant, it’s important to maximize the benefits of that feedback. First of all, the feedback you receive is not the final word on your script. If the feedback comes from a working writer or a paid consultant, read the comments carefully. After all, this person has viewed your work through the lens of experience; his or her comments are worth serious consideration and reflection. At the same time, if a suggested change doesn’t feel right, don’t make it just because it came from a pro. Upon receiving notes from anyone, evaluate your feelings about those notes. The truth often hits hard. You need to decide if that feeling you have is an inner recognition that the comment is “right on” or if that feeling is a signal that the comment is not right for your story. And it is your story, not the reader’s. The most common comment I hear from clients goes something like this: “Dave, I kinda knew that already. I just needed someone to tell me.” I hear that comment so often that I’ve concluded virtually all writers (especially those with some writing experience) have an inner sense of what is working and what is not working. Listen to what Joseph Conrad called the “inner voice that knows,” but at the same time, make sure that voice is revealing dramatic truth and is not just an emotional reaction to your hurt pride or an excuse to avoid the pain of another revision. You will gain much more from an evaluation if you approach it with an open heart rather than with a defensive mind. That’s easy to say and hard to do. If you feel your “baby” is being attacked, that feeling almost always results from a misperception. That consultant or fellow writer is likely trying to help you, so reframe your perception of the feedback process. If you receive comments from more than one person, as in a writers group, then look for patterns in the comments. If two or more people react to your scene in the same way, give those comments greater weight. That doesn’t necessarily mean they are right, just that they have the same perception of what you have written. A few script consultants allow you to call back with questions. In those situations, use that follow-up time wisely by having on hand a list of questions and concerns with the meatier ones at the top of the list. In some cases, you may want to ask the consultant for a clarification of what he meant by a particular comment. This conference is really a story meeting about how to improve the characters and the story for maximum impact on the next reader. You may also want to discuss proposed changes. Such exchanges often bear additional fruit. I have many fond memories of discussions resulting in new and wonderful ideas that may not have otherwise occurred. In a recent discussion, my client was listing ways to make her character more active, especially in the third act. I mentioned that, in a way, the movie really belonged to another character. And she said, “What if I made him the central character?” And then pieces starting falling into place for her. If you are in conference with a writer’s group, your attitude needs to reflect complete openness. You want to encourage comments even if they are hard to swallow. It’s not the time to defend your work; instead, gather all the intelligence you can. Later, you can evaluate that intelligence. For that reason, I don’t recommend a written response to a script evaluation unless you are overseas and it’s problematic making a phone call (although there is always Skype). I state that because, in my experience, most written responses are generally just rebuttals and defenses that seldom lead to a productive exchange and which often get mired in unimportant details. You paid good money for the consulting time, why spend it explaining and defending? On the other hand, there are situations where it helps to explain your intent to a consultant or fellow writer in case he or she missed that or to get a reaction. Once you have revised your script based on comments from your writers group, a fellow writer, or a script consultant, you may want a second round of feedback. Before asking for that feedback, make sure your revision is substantive. I have often found that changes based on a previous evaluation are cosmetic in nature. Recently, a screenwriter told me, “Well, Dave, I added a scene between Molly and Jim to give the script ‘heart.’” Well, does that scene move the story forward or is it just there so two characters can emote? Maybe you need to tweak or revise every scene Molly and Jim are in. Maybe Molly and Jim themselves could use a makeover. When I evaluate a script a second time, I do not read my previous evaluation because sometimes revisions made invalidate comments I made in the first evaluation. After all, it is a new story now with characters that have been redrawn. In my opinion, your reader needs to see the revised script as a new work. 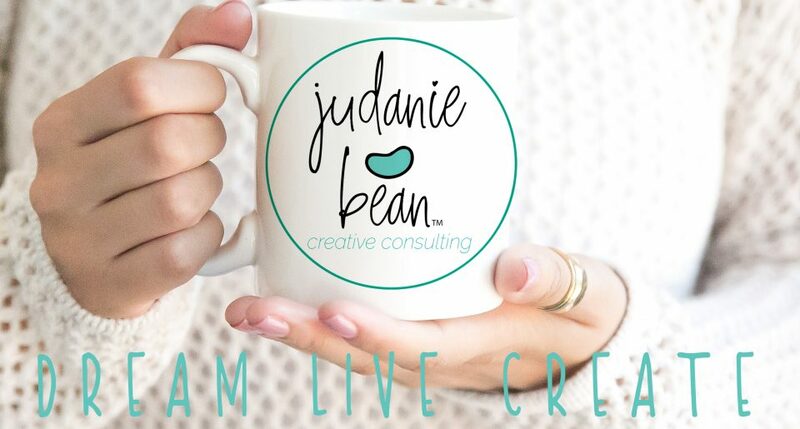 In any situation where your work is being critiqued or where you are receiving notes, stay focused on the goal of crafting a work that is both worthy of praise and marketable. I wish you the best in that effort. #17: No work is ever wasted. If it’s not working, let go and move on – it’ll come back around to be useful later. AWAKE, SMASH and Once Upon A Time. Haven’t seen GRIMM yet, but I plan to. Lots to watch. What are your must watch shows?